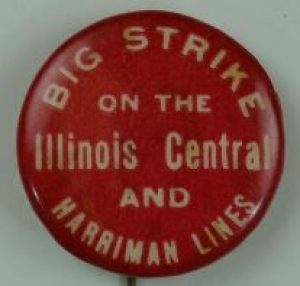 December 26, 1911 – As the machinists’ strike on the Illinois Central Railroad continues, five dangerous incidents of vandalism take place between the Parkside and Grand Crossing stations of the railroad. At 3:10 p.m. the Blue Island Express runs through an open switch at Grand Crossing, and the engine is thrown of the tracks. At 7:00 p.m. a south bound freight train is broken in two near Grand Crossing with two freight cars derailed. An hour later a five-coach South Chicago local train hits an obstruction near Seventy-First Street, and the engine and the first trucks of the following coach are derailed. Ten minutes after that a south bound passenger train derails just fifty feet west of the South Chicago train. At 8:30 p.m. two men are seen tampering with a switch at Seventh-Fifth Street, near the South Shore station, but they make their escape before police can be informed. Reached at his home, F. S. Gibbons, the Vice-President and general manager of the railroad, says, “I don’t believe the strikers would deliberately plan to wreck trains. 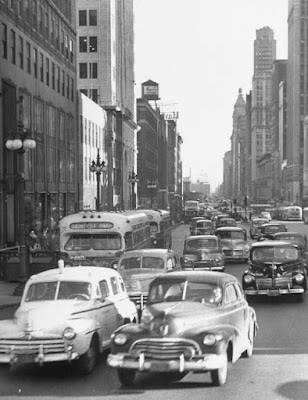 I believe an investigation will disclose something else as the cause.” [Chicago Daily Tribune, December 27, 1911] Despite his assertion, Chicago police place an officer at every switch between Seventy-First and Ninety-First Streets. The strike, which began in June of 1911, was not fully resolved until the middle of 1915.